In My Humble Opinion: Creative Destruction Or Internal Combustion? Creative Destruction Or Internal Combustion? Everyone seems to have a solution for the primary care crisis. Businessman and venture capitalist Vinod Khosla thinks technology and big data will replace the imperfect physician. Tony Hsieh and Zubin Damania (x-hospitalist and comedian/rapper) are banking on the direct practice model created by Iora Health. Politicians, economists, and technologists all chime in with their perspectives. Below the surface bubbles a provocative and troubling question. Many of these entrepreneurial "experts" have little previous experience actually running a primary care practice or taking care of the average outpatient. Although no one has directly said it (except Khosla), the underlying assumption is that change is too big or too important to come from within. They argue that those immersed in the bubble of inefficient and expensive day to day care must be blinded by their own involvement. These "leaders" espouse creative destruction and spurn internal combustion. 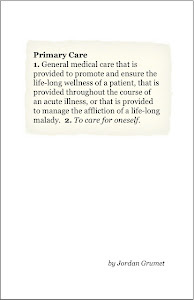 But I wonder if "good" primary care is something that can be totally grasped from the outside. My understanding is radically different from what it was before medical school or even in residency. With experience, my viewpoints have changed, my techniques have evolved, and my awareness has grown. I couldn't imagine approaching disruptive change without the knowledge I now hold. So I looked with great enthusiasm to plot the path of Iora Health and internist Rushika Fernandopulle. What I found, however, was an unsustainable model (Iora health I believe has still never made a profit) heavily dependent on venture capital. The Atul Gawande New Yorker article talks of a team of two physicians, two nurse practitioners, one social worker, and eight health care coaches taking care of 1200 patients. Certainly this model is not cost efficient. In my previous practice, I was overseeing 2000 patients on my own (and yes, my average hospital census was not much higher than theirs). It seems there was a lot of hype and Internet buzz, but many questions still remain. Is Iora health still running the Atlantic City clinic? I couldn't seem to find any information about that on the web. I would like to know more. I am an internal medicine physician. I have been practicing primary care, hospital medicine, and palliative care since 2002. In January of this year, I started a new and innovative practice in which I visit patients in their homes and in the nursing home. I schedule a full hour for each outpatient visit and answer my phone personally. And by the way, so far I can pay my own bills and my admission rate is low. No venture capital investors, no yoga classes, no health care coaches, no fancy videos or selection of expensive teas in my waiting room. Instead, I do something much more simple. I spend a lot of time with each patient. Brilliant! The key is keeping overhead low. That is why most practices can't make it. Also the E&M code payment is unsustainable for spending time with patients. Concierge makes it because of charging extra fees. I suspect you charge extra fees too. It isn't rocket science. 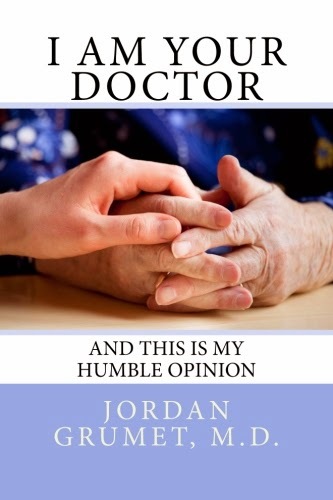 As someone whom I respect in the primary care space, I was disheartened to read this post, Jordan. You make assumptions around our approach and model (and me personally) without ever having spoken with me—as someone in the same space, that is the simplest courtesy to expect and one I would have granted you were the roles reversed. As physicians trying to improve healthcare for both patients and other physicians, we should be working together. On to the article. First off, we agree on Khosla. Nothing more to say here. Second, while I appreciate the debate about venture capital, overhead, and the details of primary care delivery models (all of which I would have been happy to debate as I believe both our models coexist and are necessary but not sufficient to transform healthcare), you couldn’t be more factually wrong about the people you are criticizing. Let’s start with me. Yes, I was a hospitalist for ten years. For the first 3, I also had an outpatient practice half time. And for my entire life I’ve had a dad who was a private practice PCP. I’ve worked in his office, in all aspects of operations. So to suggest that I know nothing about primary care practice reveals that you haven’t bothered to talk to me. Then there’s Iora. Founded and run by practicing, battle-scarred PCPs. Highly experienced and fiercely devoted to their patients. To suggest that they (and us collectively) are outsiders mandating how primary care should be is absurd. This is a ground-up, physician led reform movement if there ever was one. The fact that we use venture capital simply means we would like to scale to truly effect change (as our economics make the most sense at scale). You can scoff at yoga studios and health coaches all you want, but I would encourage you to spend 5 minutes talking to our docs and patients and you’ll quickly learn how essential they are in our model of care. You mention spending more time with your patients. We do too. We also have our own EHR purpose-built around our workflows (and accessible to patients), and a data collection/population health system to demonstrate and improve our outcomes, rather than speculate. This is the result of the hard-fought venture funding Iora had obtained. So we’ll keep taking our limited VC cash and trying to turn it into meaningful change driven by doctors, for the benefit of both patients and physicians (many of whom just want to practice in a model like ours without having to worry about the business side). Although the google ads on your site look like a pretty good way to generate some funding too...I’m gonna get on that! Seriously though, I think there’s a lot we can learn from each others’ approach if we bother to talk about it. I’m at zubin@turntablehealth.com, and if you're in Vegas, I'd love to show you our clinic. As one of the pioneers of the Direct Primary Care model, I read your post with great interest. I absolutely agree that for effective change to take place in the American primary care ecosystem, we cannot rely on venture capital. It may work for a few innovative healthcare models such as Iora Health or Qliance from a business standpoint, but it does not bode well for the solo practitioner who is looking for a better way to practice. Sure, that doctor can throw in the towel and become an employee of a hospital-owned system, an insurance-owned system, a group practice, Iora Health, or Qliance, but the solution is not becoming an employee -- it's empowering that doctor to adopt a more satisfying practice model WITHOUT depending on billionaires or investors, which as you appropriately mentioned, is unsustainable. MedLion Direct Primary Care, for instance, has the largest DPC physician-network in the nation. MedLion is privately owned by one doctor (myself), and rather than to employ distraught physicians, we teach them how to implement DPC in their own practices. At the same time, we teach them how to drastically reduce their professional (and personal) overhead, make smarter business decisions, and not depend on third party payers for all income. We have been very successful, and are about to enter our 16th state. Our model is openly supported by the American Academy of Family Physicians, and I am working with them to bring Direct Primary Care to primary care physicians everywhere. Venture capitalists and investors have only one endgame in mind -- the company's acquisition, or an IPO for a return on investment. Great for tech, but not so much to change healthcare in sustainable fashion. At MedLion, we prefer to be held accountable to our doctors and patients, not investors.